Not only has your business been sued, and a huge judgment has wiped out all the equity in your company, but now they have pierced the corporate veil and are coming after you personally. You car, house, bank account–everything. You thought that your personal assets were protected by your corporation or LLC. You thought that the worst that could happen was that they took everything your company owned (which is bad enough). But it can get infinitely worse when your corporate veil is pierced. How Does a Corporate Veil Get Pierced? A creditor–including a plaintiff who has won a judgment against your company-will first execute upon the assets within your corporate entity (i.e. your LLC). If the company doesn’t have enough money to pay, then the creditor will seek to attack your personal assets by piercing the veil. The creditor will have to convince a judge to order the piercing. Piercing the veil is not favored by law. The law favors respecting the corporate form and only piercing under certain circumstances. How Do I Avoid Piercing? Judges weigh several factors in determining whether the pierce a company’s veil. No one factor is conclusive, and not all factors need to be present in order for the judge to decide. Did you follow corporate formalities? Did you commingle personal funds with company funds? 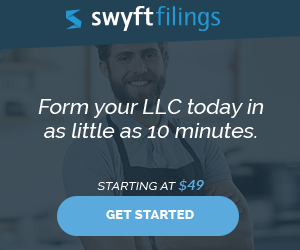 Are you being sued under tort or contract? Was the company grossly undercapitalised or have zero capital (a shell)? Let’s consider each factor individually and what you can do to avoid each one. This is one is straightforward. Judges hate fraud. The law gives judges a lot of flexibility and discretion to do substantial justice even when the perpetrator of fraud covered all the technicalities. The more egregious the fraud, the more likely the piercing. Fraud alone might not be enough if no other factor was present, however. I shouldn’t have to tell you not to commit fraud. This factor can catch many innocent people. Failure to observe corporate formalities is a factor in piercing the veil, and can be compelling if another factor is present. Fortunately for LLCs, there are much fewer corporate formalities than for a C corporation. C corporations have many ongoing formalities they must observe, such as Board of Director meetings and votes on major issues, keeping corporate minutes, and so on. 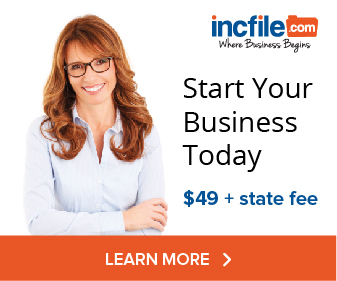 Keeping your LLC in good standing with your state–which, at most, means filing an annual report and fees if required by your state–is relatively simple. Most online incorporation companies offer a service that will alert you whenever a filing is needed. Protect your personal assets by making sure you never miss a filing deadline. When a business owner uses business money to pay personal expenses, or moves money back and forth between his business and personal accounts, then the corporation or LLC is more likely to be pierced. The judge will see this loose treatment of money flowing back and forth between the owner and the corporation as a sign that the company had no true separate existence from the owner. Rather, the company was an “alter-ego” of the owner. If you as an owner don’t respect the difference between the company’s money and your personal money, then the court won’t either. Instead, the court will presume that if the company can pay your personal expenses, then you can personally pay the company’s debts. There are two ways to avoid this. First, open a separate business checking account. All business expenses and income must flow through this account. Only business expenses should be paid from this account and only business income should be deposited. Secondly, get a business credit card. This will not only give you access to some startup cash, but it will also help you track your business expenses. Again, only use for business uses–not for personal expenses. When you want “personal” money out of your business, you need to either pay out a salary, a dividend, or a profit distribution–all properly documented. Having a separate business credit card is a simple and effective way to have your business expenses automatically tracked and kept independent of your personal accounts. There’s not much you can do about the tort vs. contract issue other than to have adequate liability insurance. Companies that have too little capital invested in them, or worse zero capital, are more likely to have their veil pierced. There’s no hard and fast percentage of equity required. Mainly, courts look at whether the capital in the business was reasonable given the possible liabilities of the company. Since most start-up companies are founded on debt, the situation might look bad. There is one bright spot, however. That is that courts will often take any insurance into account when measuring adequate capital. Therefore, if your business has $100,000 of liability insurance, then the court will see that as you having made $100,000 available to tort creditors. Depending on your business, that will probably be adequate.